Thrive Content Builder is probably the latest of all the landing page builders listed in this post and it is nothing short of amazing. Not only is a great tool for building landing pages, but also a brilliant tool for creating visually appealing blog posts. I am a loyal user of this tool – as a matter of fact, I am using it to create the blog posts listed here on this page. It allows me to write the posts directly to the front page, instead of using the WP control panel. It is intuitive, easy to use, and comes as very fair price. If you want to build you own landing page, but don’t have the technical skills to code a site from scratch, Thrive Content Builder is exactly what you need. Before Thrive Content Builder came around, I was a loyal user of Optimize Press 2.0. Optimize Press 2.0 stand out by allowing for much more than just creating landing pages. It is a brilliant theme / plugin to use if you want to create a membership site. The fouder of OP 2.0 also created a marketplace where you can purchase pre-made themes for all your landing page needs. InstaBuilder 2.0 seems to be similar to Optimize press 2.0 in several different ways. Just like OP 2.0, this is a drag and drop landing page builder, that also comes with a wide range of pre-built themes you can use and amend as you see fit. I havent tested this, but the reviews I have seen for it are great. Another alternative to OptimizePress 2.0 or InstaBuilder 2.0. Note that, just like OP 2.0 and IB 2.0, Click Funnels is a lot more than just a landing page builder, but since this is the topic of todays post, I wont cover all the other details. Click Funnels comes with a drag and drop landing page builder, and lots of pre-made themes, ready for you to use, so you can publish an awesome looking landing page, instantly, and change things according to your needs. A landing page software with a focus on landing pages and not all the other stuff that Click Funnels, Optimize Press 2.0 or InstaBuilder 2.0 can do. I haven’t tested InstaPage, but from the looks of it, I kind of want to. It looks neat. InstaPage allows you to build a landing page with drag and drop elements, integrate your autoresponder service, deploy the site to wordpress and finaly improving it, by allow for easy A/B split testing. This is exactly what landing page builder should be able to do. This is going on my list of tools to test. Landingi is seemingly very similar to InstaPage, by allowing you to create a landing page without the need to code anything. Everything can be done in the drag and drop landing page builder. They have a wide range of pre-made themes you can chose from. You can integrate you autoresponders, deploy the site, and also do A/B Split testing and analyze the result of these tests. he guys behind Megaphone Apps claim that this is the easiest way to create beautiful marketing pages. With more than 120 ready-made themes ready for customization, they might be right? The Easiest Way to Create Beautiful Marketing Pages. Pick a template and instantly add your own copy. Then send people to your new page. It’s that easy. All themes are responsive, you can integrate all of the popular autoreponsders, and easily deploy your page once ready. Need to get stuff done fast? How about creating a landing page in 60 seconds? This is apperently what you can do with 1 Minute Sites. This is a webapp, that allows you to create landing pages with a drag and drop interface. You can also create other pages like, webinar pages, thank you pages, opt-in pages, etc. Just like all the other landing page builders, you can chose from a wide range of ready-made themes and change them as you see fit. You can have the sites hosted on their server or your own. A neat alternative to the other options, with a focus on getting things done – fast. Yet another landing page builder named LanderApp. This webapp also comes with several different pre-made themes, a drag and drop builder, an A/B Split testing tool, easy facebook page integration and lots of other features. If you want to know more about lander, check it out here. Our landing page templates were thought out and designed for conversions. No matter what your business is about or what type of campaign you are launching, you’ll find the perfect template for you. Here’s a quick sneak peek! FusionHQ V2 is much more than just a landing page builder. It has many of the same features like OptimizePress 2.0, InstaBuilder 2.0 and Click Funnels. 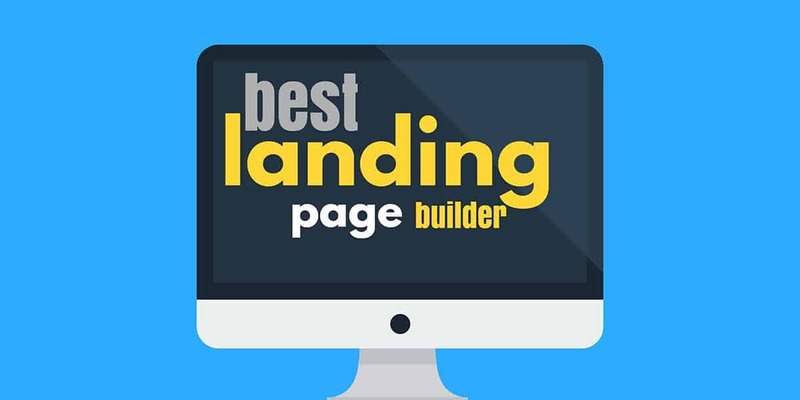 The landing page builder is another drag and drop editor and lots of pre-made themes to get you going fast. This seems like an awesome tools, but probably better suited for someone who is looking to do more than just build a small landing page. This is probably one of the most popular choices out there and it does come with a wide range of awesome features if you are willing to pay the hefty price tag. LeadPages has a marketplace with lot and lots of paid themes to choose from. What I really like about this is that you can sort them based on conversion rate, which is really what matters when it comes to landing pages. Based on features I would chose LeadPages over any of the other options listed in this post, but the price tag is bound to turn a lot of potential clients away. There is no excuse to postpone your landing page. These tools should make the landing page creation procees as easy as it gets. What is your preferred landing page creator, and do you think I missed important ones in this list? Drop a comment below and let us know. If you enjoyed this article, please share it with the world.